Crazy about Batman? Well, you’ll be amazed to know that your favorite superhero’s Coplay suit is now Guinness World Record holder. Woooo-hoooo!! 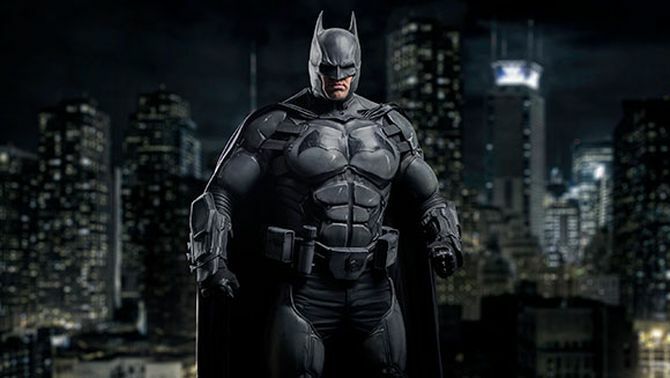 Julian Checkley, a special creature effects expert, has built a ridiculously detailed Batman cosplay with 23 functioning gadgets. This impressive cosplay has not only fulfilled his wish to be a real Batman, but also earned him a spot in Guinness World Records Gamer’s Edition 2017. You may have seen various bags that are specifically designed to carry GoPro cameras and other action cameras. 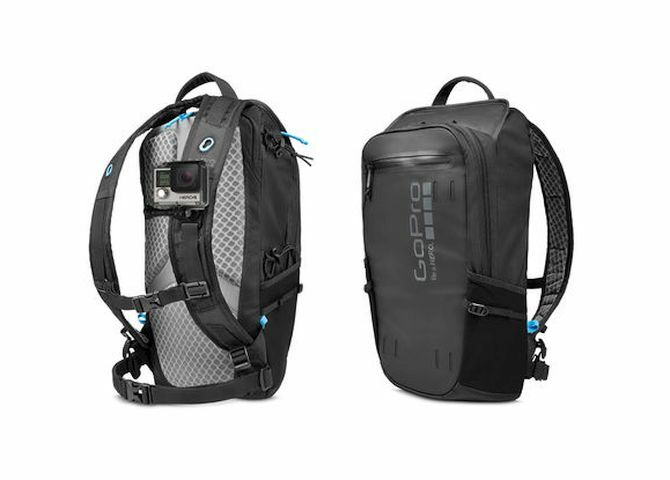 But now GoPro, American manufacturer of action cameras, has unveiled its own Seeker Backpack for serious on-the-go filming. The backpack is designed to hold five action cams to capture POV moments, while you’re busy hiking, climbing or mountain biking. Hence, it is a great accessory for adrenaline junkies who like to document various aspects of their journey. Die hard Metallica fans must be knowing that the metal band released one of their greatest albums, Master Of Puppets on February 24, 1986. Now after 30 years, the album has been deemed for preservation in the National Recording Registry by the United States Library of Congress. That makes it the first metal album to received such honor. 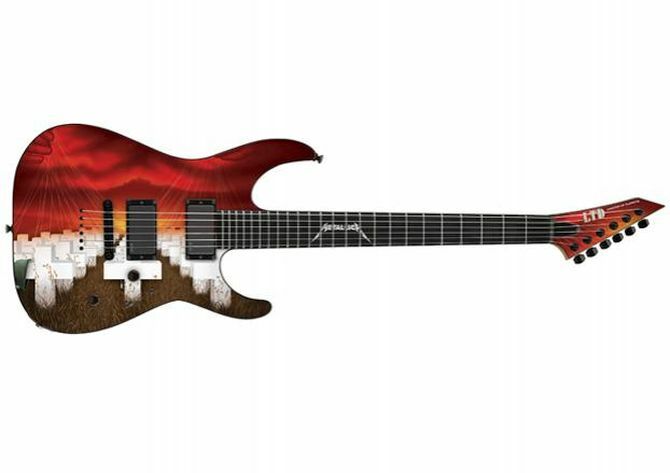 To commemorate 30th anniversary of Master of Puppets, ESP has proudly presented the limited edition LTD ‘Master Of Puppets’ Graphic Series guitar. 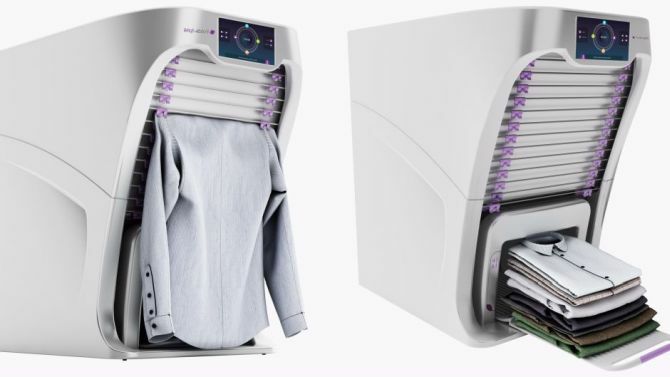 If you hate the annoying task of folding laundry and always pass it on to some other family member, then have a look at this miraculous laundry-folding appliance called FoldiMate. It is almost the size of a washer and meant to be placed on top of a washer or dryer. Once your clothes are washed and dried, you have to clip them onto this machine for neatly folding them. To commemorate the 50th anniversary of Cuban fine cigar makers Cohiba, renowned Swiss watch brand Zenith has created an exquisite anniversary edition timepiece. The limited edition El Primero chronograph features Havana brown dial that’s further accented with yellow and black strips, featuring the signature colors from cigar maker’s branding. 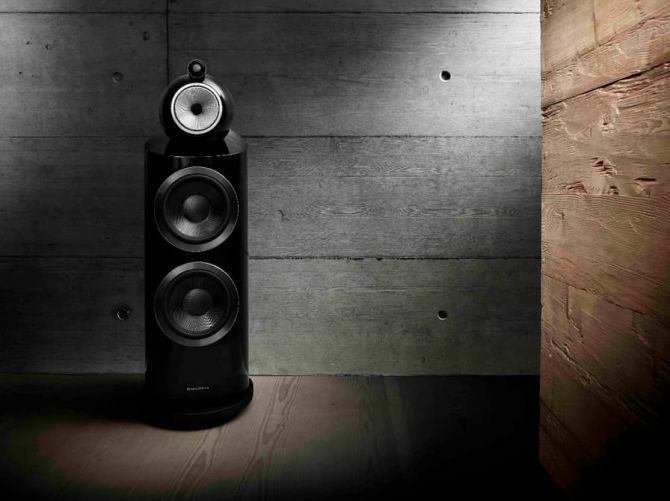 With 40-plus years experience in sound engineering, Bowers and Wilkins surely knows how to create impactful high-end audio systems. Audiophiles have been constantly witnessing their impeccable sound systems for years now. It’s not a secret that their 800 Series Diamond has gained widespread acclaim from audiophiles from all around the world. But now the company has started from the scratch for its new 800 DS3 Diamond speaker and aims at reaching new heights with the release of this upgraded speaker system. Goldvish Geneve, Switzerland-based specialists in creating high quality, handmade phones and accessories have come up with their new handmade smartphone. 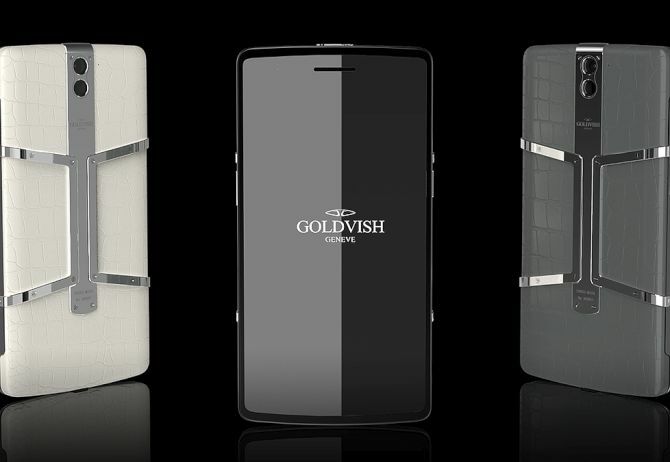 Dubbed Goldvish Eclipse, the luxury smartphone is designed from scratch by the Swiss brand’s design team. Each Goldvish Eclipse is handmade by experienced craftsmen and is made from the finest materials available. Starting at €6,800, the Eclipse smartphone is available in a limited number of styles selected by Goldvish design team. Additional styles and exclusive designs will be introduced later this year. If you have ever wished of understanding the meows and purrs of your beloved cat, your yearning has been granted. adam&eveDDB, a creative communications agency has come up with a hi-tech 3D printed collar for cats that can translate their meows into human speech. 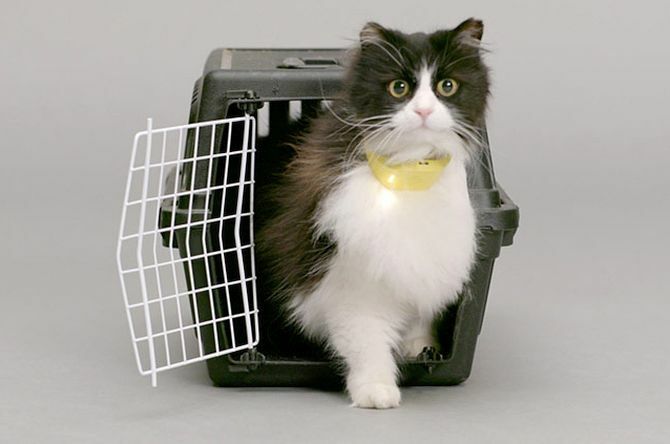 Dubbed Catterbox, the smart wearable for felines is claimed to be the world’s first talking cat collar by its makers. To give cats a voice and to bring them closer to their owners, adam&eveDDB set up The Temptations Lab in 2015. The task was to infuse some serious fun into cats’ lives and make people understand them better. 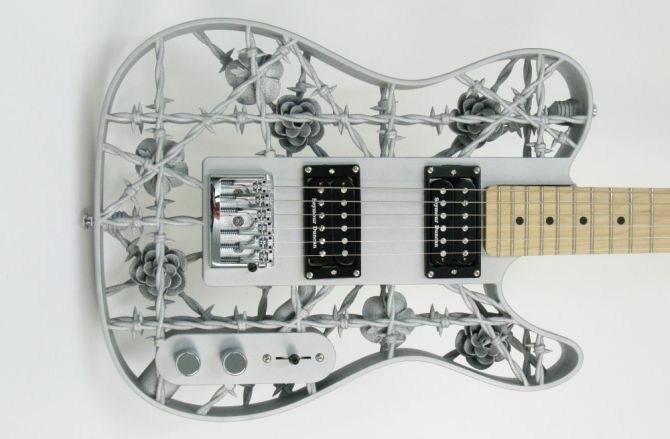 You may have seen various 3D printed musical instruments so far, but no one can beat the style and design excellence of the world’s first 3D printed aluminum guitar by Olaf Diegel from OddGuitars. Dubbed Heavy Metal, the guitar has been designed to reinvent the materials used in manufacturing quality music instruments. Instead of wood, the body of the guitar has been made out of aluminum for exploring the capabilities of metal 3D printing in music industry. We’ve seen plenty of multitouch coffee tables so far, but Ideum 55-inch UHD coffee table is more than that. 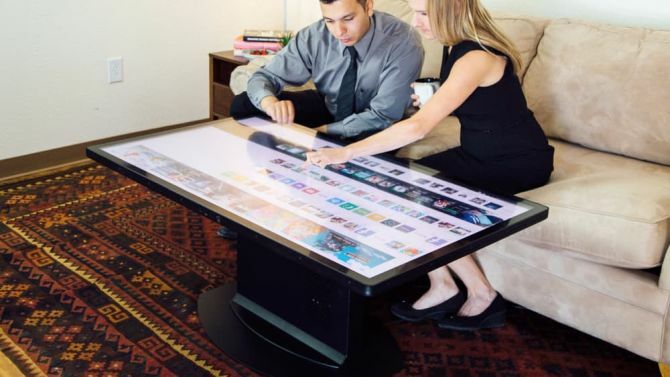 The touchscreen table is designed to provide incredible interactive experiences, as this smart piece of furniture is able to recognize real-world objects. It allows the users to interact with it while holding tangible objects such as coffee mugs and wine glasses. Besides that, the table even displays available information about the wine in glasses, thus offers amazing wine tasting experience.